VICTORIA -- Staying in shape and eating right will soon pay off in British Columbia where an initiative is in the works to reward people with collector points for healthy-lifestyle choices, says Health Minister Terry Lake. B.C. is set to launch a joint federal-provincial healthy living program that will allow participants to earn loyalty points -- similar to programs used by airlines and credit card companies. Lake said Monday that Canadians are big fans of those programs and participants will be able to cash in their points for rewards, although those rewards are still being developed. "This is a little bit more in terms of nudging people forward by giving them a reward for doing the right thing," said Lake. "It's just being developed and will start to be rolled out in the fall here in B.C." B.C. will invest $2.5 million in the program, while the federal government will contribute $5 million. Also involved are the Heart and Stroke Foundation, the Canadian Diabetes Association, YMCA Canada and Social Change Rewards. The program will require participants to download a Carrot Rewards online application. 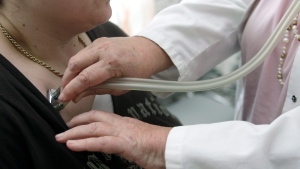 But a University of Victoria health-policy expert said offering rewards to people who make good lifestyle choices misses the chance to address issues contributing to poor health. "I would say that before you start this kind of program you should look carefully at all the ways in which public policy and also private-sector policy makes unhealthy choices easy, and eliminate them," said Prof. Trevor Hancock. "The start is to make the unhealthy choice the difficult choice and to make the healthy choice the easy choice." He said reducing portion sizes at restaurants, raising alcohol prices and limiting urban sprawl will result in people eating and drinking less and walking more. Hancock said public-health organizations have been calling on the government to regulate salt content in food to improve health. "As a society we need to be looking at what it is we are doing that shapes peoples' choices through environmental and social and economic and commercial factors that lead them to make unhealthy choices in the first place," Hancock said. Lake said the Carrot Rewards program adds to current fitness initiatives focused on family and school health. He said improved fitness and diet promotes better health and often leads to reduced health costs. "It certainly delays the on-set of things like Type 2 diabetes, heart disease and we know that those are two of the most costly medical conditions we deal with," Lake said.